First you need to add the Ground Almonds and the Time 4 Whey Double Chocolate Mousse to a bowl and mix until you have a nice consistency. Add 2 teaspoons of Melted Coconut Oil to that mixture and 2 drops of Schweeet and continue to mix until it's pretty stodgy. Put this in a container and flatten it all down and place in the fridge to chill for 15 minutes. Whilst that is chilling add 2 more teaspoons of Melted Coconut Oil to the Peanut Butter and mix again until it's nice and creamy in texture. Add a couple more drops of Schweeet, mix and then add on top of your Almond and Time 4 Whey Double Chocolate Mousse base and put back in the fridge, this will need a good hour to set hard. 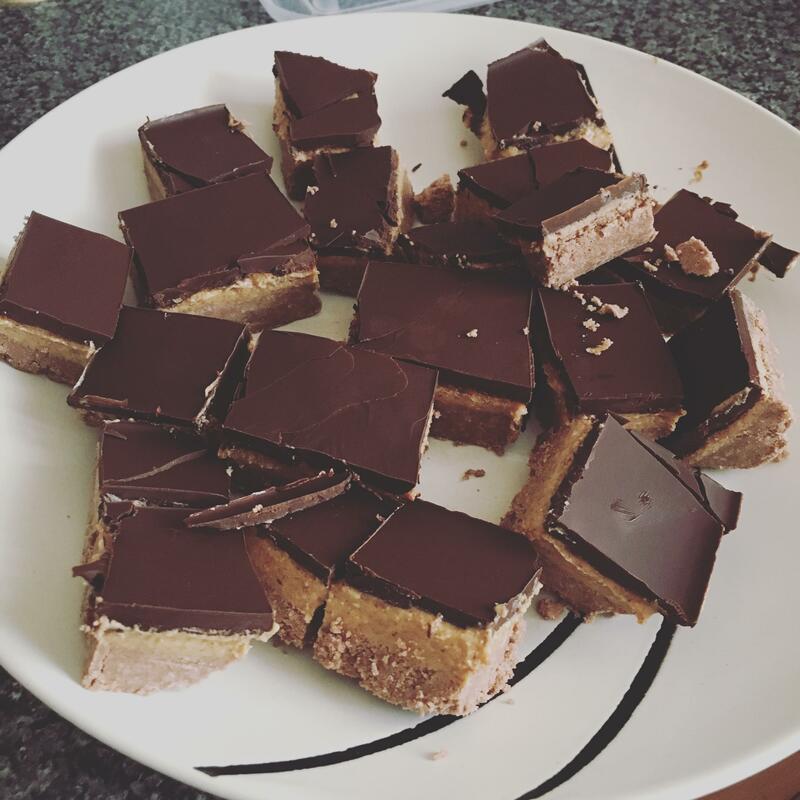 Then it's onto the Chocolate, simply add that to a bowl, melt it and add the remaining 5 drops of schweet and once it's melted place on top of the Peanut Butter and leave in the fridge overnight.... in the morning you will be graced with these little delights.